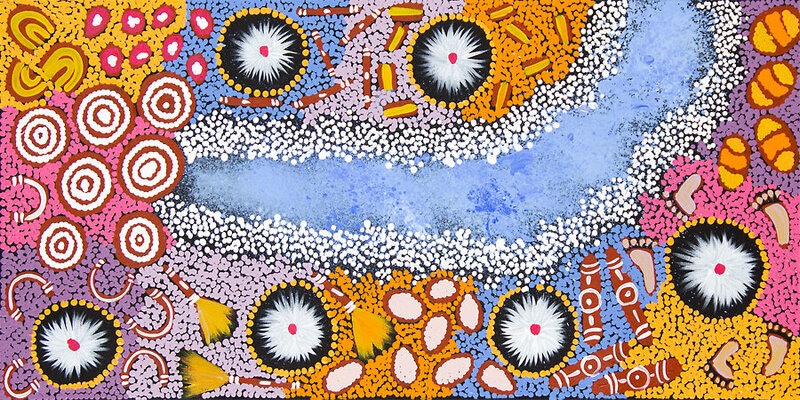 Samantha Daniels Napangati was born in 1982 and is from the very remote Docker River Community (Kaltakatjarra), about 670km southwest of Alice Springs. 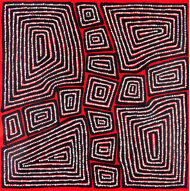 She grew up with a strong artistic influence from her family of successful artists, including her grandparents Clifford Possum and Linda Syddick Napaltjarri. 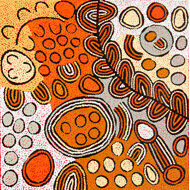 Samantha’s stories include “Travelling Women”, “Bush Seeds”, “My Grandmother’s Country” and “Women’s Ceremony”. Recently her favourite subject is “My Country” which represents important landmarks and features in the landscape. Her paintings are very descriptive, telling the story of her family’s country.